A brilliant, idiosyncratic collection of introductions and afterwords (plus some liner notes) by New York Times bestselling and Pulitzer Prize winning author Michael Chabon—“one of contemporary literature’s most gifted prose stylists” (Michiko Kakutani, New York Times). 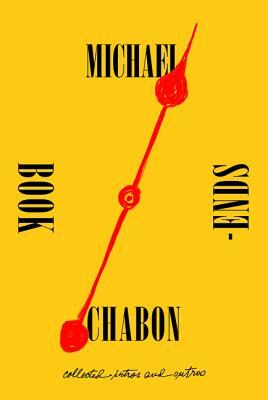 In Bookends, Pulitzer Prize winning author Michael Chabon offers a compilation of pieces about literature—age-old classics as well as his own—that presents a unique look into his literary origins and influences, the books that shaped his taste and formed his ideas about writing and reading. Chabon asks why anyone would write an introduction, or for that matter, read one. His own daughter Rose prefers to skip them. Chabon's answer is simple and simultaneously profound: "a hope of bringing pleasure for the reader." Likewise, afterwords—they are all about shared pleasure, about the "pure love" of a work of art that has inspired, awakened, transformed the reader. Ultimately, this thought-provoking compendium is a series of love letters and thank-you notes, unified by the simple theme of the shared pleasure of discovery, whether it's the boyhood revelation of the most important story in Chabon's life (Ray Bradbury's "The Rocket Man"); a celebration of "the greatest literary cartographer of the planet Mars" (Edgar Rice Burroughs, with his character John Carter); a reintroduction to a forgotten master of ghost stories (M. R. James, ironically "the happiest of men"); the recognition that the worlds of Wes Anderson's films are reassembled scale models of our own broken reality (as is all art); Chabon's own rude awakening from the muse as he writes his debut novel, The Mysteries of Pittsburgh; or a playful parody of lyrical interpretation in the liner notes for Mark Ronson's Uptown Special, the true purpose of which, Chabon insists, is to "spread the gospel of sensible automotive safety and maintenance practices." Galaxies away from academic or didactic, Bookends celebrates wonder—and like the copy of The Phantom Tollbooth handed to young Michael by a friend of his father he never saw again—it is a treasured gift.